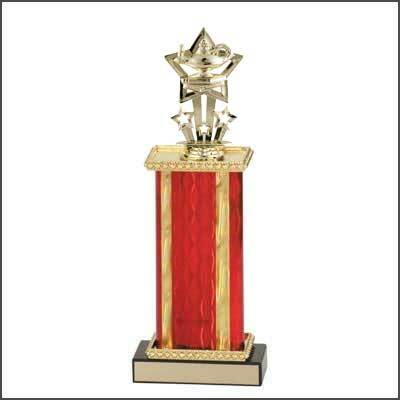 This is a great place to start shopping for your academic trophies. 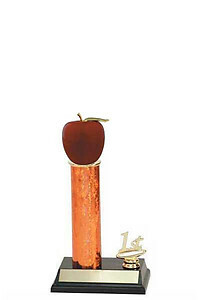 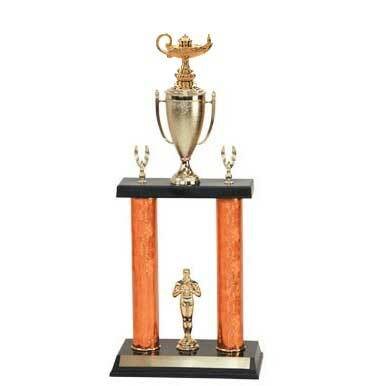 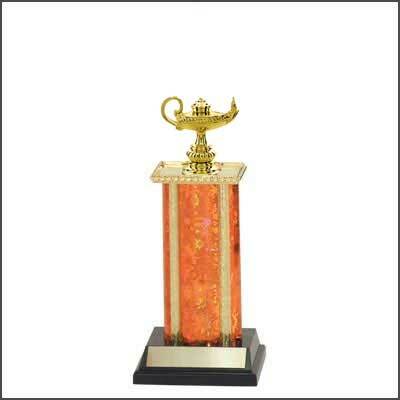 H & R Trophies offer you a wide selection of Academic Trophies in various styles and prices. 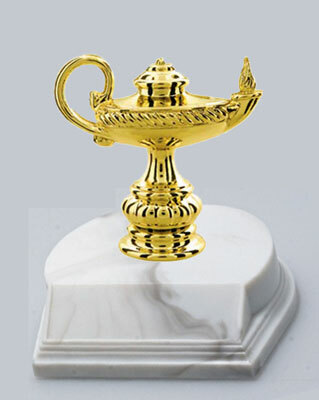 If you?re looking for a completed academic trophy, click on the Conventional Academic Trophies link. 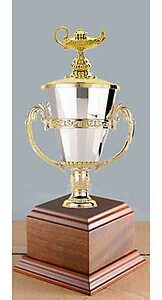 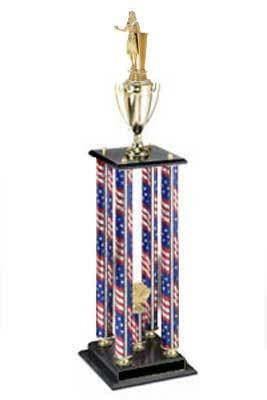 All academic trophies include 40 characters of FREE ENGRAVING. 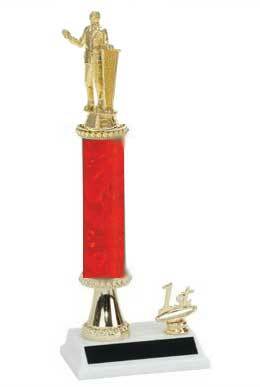 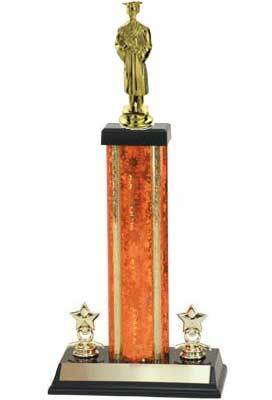 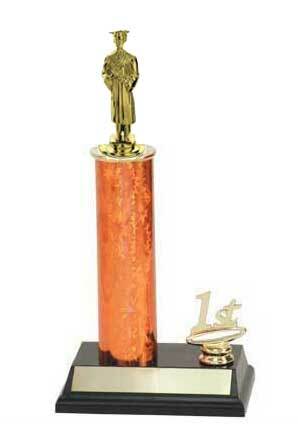 A small percentage of our customers are looking for an academic trophy figure (topper) only. 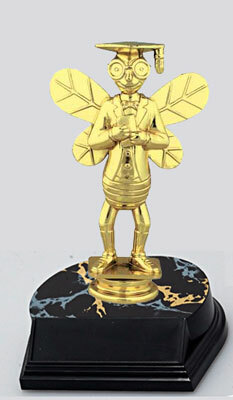 Those customer should click on trophy toppers for academic link and make your purchase there. 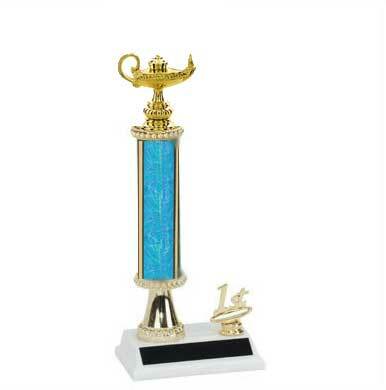 R2 Academic Trophies with a single round column, and added trim. 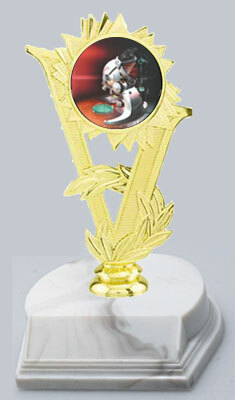 2DPC Academic Trophies with double post and stacked column design.